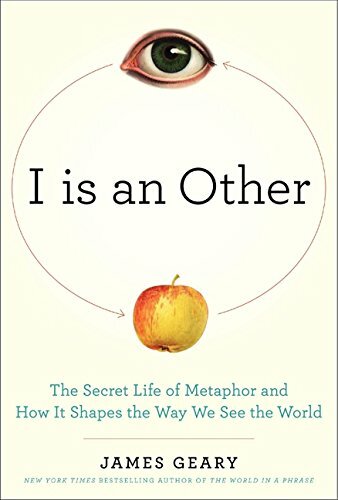 James Geary’s latest book on the nuances of the English language is called I Is an Other: The Secret Life of Metaphor and How It Shapes the Way We See the World. Its existence begs the question: Is there really enough to say about metaphors for a writer—even one as talented as Mr. Geary—to fill a 304-page book? “Yes, he would,” the King replied. “A man who explains necessarily makes intelligible that which is not known by comparing it with what is known,” Hui Tze said. Geary counts one metaphor for every fifteen words of Lincoln’s famous speech, which is even more surprising when he reminds us that the sum total of the Gettyburg’s Address is only 243 words. The author further manages to weave together a fascinating amount of information on a seemingly mundane topic across chapters titled, among others: Metaphor and Money, Metaphor and the Mind, and Metaphor and Politics. He seems to include everything on the subject, perhaps for the sake of completeness. This is not necessarily a good thing. Does a reader really need to know the neurological basis for particular conceptual metaphors? Arguably not, as it becomes less entertaining as it becomes more pedantic in the middle of the book. Still, it’s a minor quibble. I Is an Other really shines when it focuses on the simple yet profound. “Juliet is the sun” is a sentence revisited by Geary throughout the book, and it’s an excellent choice: Is Juliet a ball of fiery gas? Or is she, to Romeo, the center of the universe and more? Our ability to instantly understand what Shakespeare was really trying to say is a mark of both maturity and humanity, and Geary compellingly makes this point clear. I Is an Other feels like it could have been a superlative 250-page book instead of a very good 304-page book. Still, it has far more good points than bad points and you’ll never look at a metaphor the same way again—metaphorically speaking.